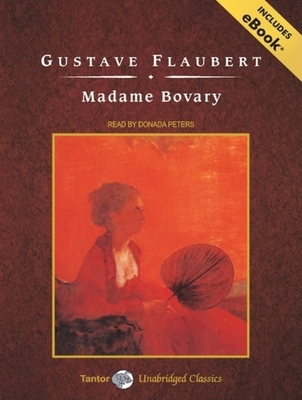 One of the acknowledged masterpieces of nineteenth-century realism, Madame Bovary is revered by writers and readers around the world, a mandatory stop on any pilgrimage through modern literature. Gustave Flaubert's legendary style, his intense care over the selection of words and the shaping of sentences, and his unmatched ability to convey a mental world through the careful selection of telling details shine throughout this marvelous work. Madame Bovary scandalized audiences when it was first published in 1857. And the story itself remains as fresh today as when it was first written, a work that remains unsurpassed in its unveiling of character and society. It tells the tragic story of the romantic but empty-headed Emma Rouault. When Emma marries Charles Bovary, she imagines she will pass into the life of luxury and passion that she reads about in sentimental novels and women's magazines. But Charles is an ordinary country doctor, and provincial life is very different from the romantic excitement for which she yearns. In her quest to realize her dreams she takes a lover, Rodolphe, and begins a devastating spiral into deceit and despair. And Flaubert captures every step of this catastrophe with sharp-eyed detail and a wonderfully subtle understanding of human emotions. Gustave Flaubert (1821-1880) was a French novelist of the realist school, best known for writing "Madame Bovary," a story of adultery and the unhappy love affair of provincial wife Emma Bovary. Donada Peters is one of "AudioFile" magazine's Golden Voices and has won over a dozen "AudioFile" Earphones Awards.